Phaser 8500/8550 ei enää ole myynnissä uutena. 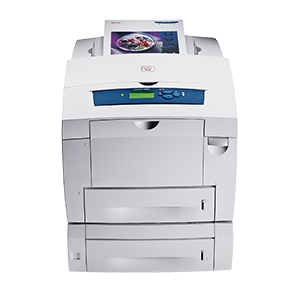 "Like all Xerox products, the Phaser 8550DP was easy to set up on the network and the administrative utilities make management of devices on the network a breeze. The Phaser 8550DP produces output that is ideal for any environment where color is critical. 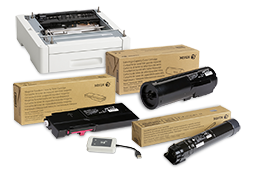 And with a cost per page that is competitive with business-class inkjet printers, the device is ideal for general business use as well." The Xerox Phaser 8500/8550 family has been selected as a Editor's Choice winner in Better Buys for Business 2006 Color Laser Printer & Business Ink Jet Printer Guide. "We really like the Phaser 8500/8550 family. We also find its attractive pricing, small and elegant footprint, and quiet operation very nice bonuses as well." 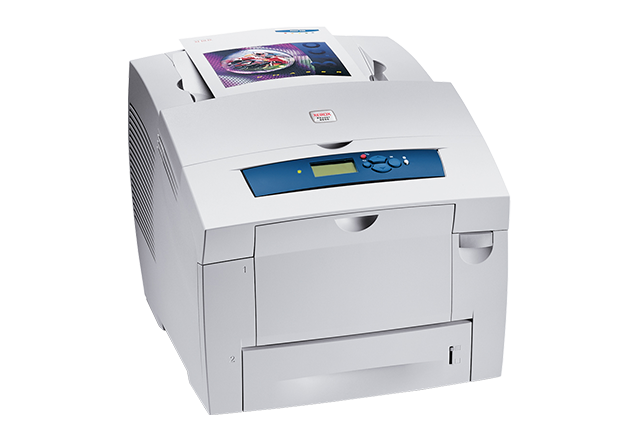 3 1/2 (out of 5) Stars "For many small offices, the solid-ink 8500N (or 8500DN) will strike just the right balance of price, performance, quality, and paper-handling." 4 (out of 5) Stars - In both the technology and channel categories earning a Test Center Recommended designation. The reviewer highlights solid ink as a no-hassle alternative to toner and describes the output as "extremely glossy with a pleasing texture."